Glengoyne warehouseman and engineer Billy's choice is an 18 year old whisky that spent its last 10 years in amontillado sherry casks, casks that held a type of sherry that is lighter than oloroso but darker than fino. 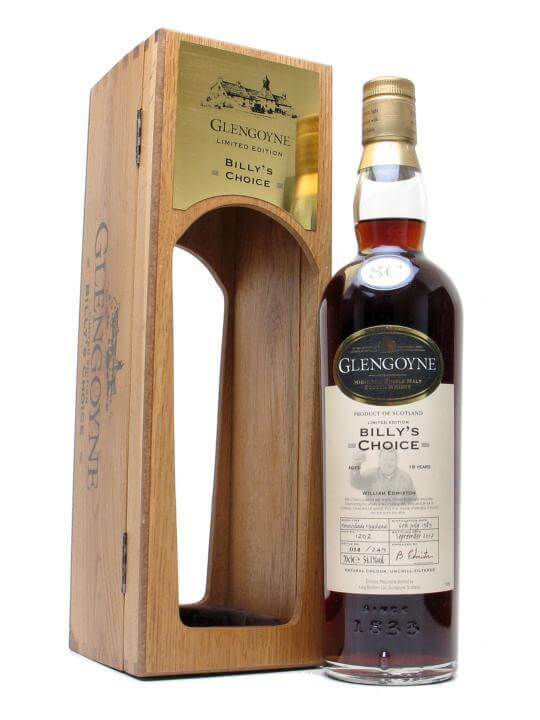 This was awarded a silver medal in the 2007 Malt Maniac's Awards. Whisky is said to have many magical qualities and now it has one more--as a weapon against polluted waste sites. A by-product of teh spirit is almost 100% effective in cleaning contaminated ground water, it has been found. It is hoped the technique known as 'Dram' will cut down on the £1.2billion Britain spends each year on clearing waste sites. "This is groundbreaking technology," said researcher Dr. Graeme Paton of Aberdeen University. Brilliant. And it's called DRAM (Device for the Remediation and Attenuation of Multiple pollutants). Congratulations to the research team! Read more on the story HERE, HERE, and wherever else you look. For all Glengoynes had on the mission click HERE. Heavy, doughy, some sulphur and birch bark. Toffee and some mint in background. Sweet at the core, pleasantly sour at the fore. Eggy and sherried, rum-my, woody, sour apples. Dry nose, if that is possible. Rich, sweet, sappy. Paper, Dr. Pepper. Black coffee and burnt sugar. A sherried (obviously) finish with oak, chianti, and over-cloved apple pie. For the sherry freaks--not subtle, not Glengoyne, not for everyone. But those who will like it will like it a lot. there is no sherry from montilla, sam. the sherry named amontillado is so named because it resembles the wine of montilla.